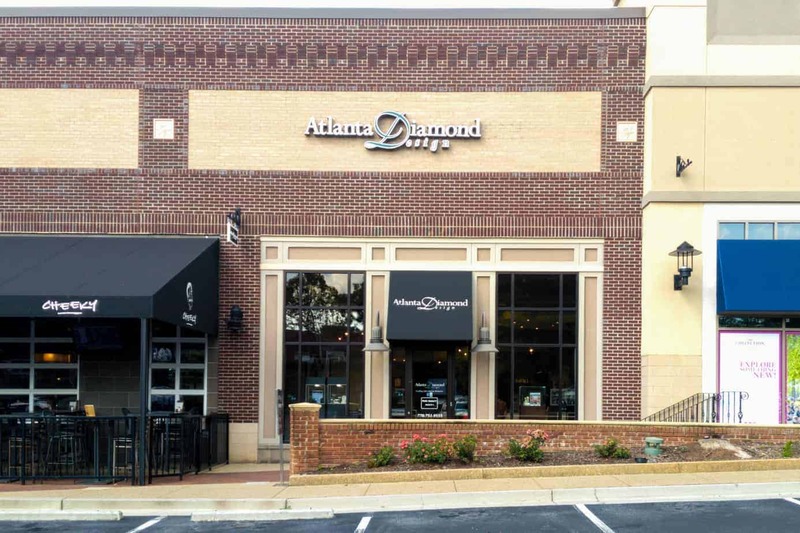 Tasha joined Atlanta Diamond Design in 2006 and has worked tirelessly as the store’s 3D CAD/CAM designer since that time, crafting hundreds of custom designs for customers. What many people don’t know is Tasha has her own jewelry studio where she creates her unique line of handmade jewelry. 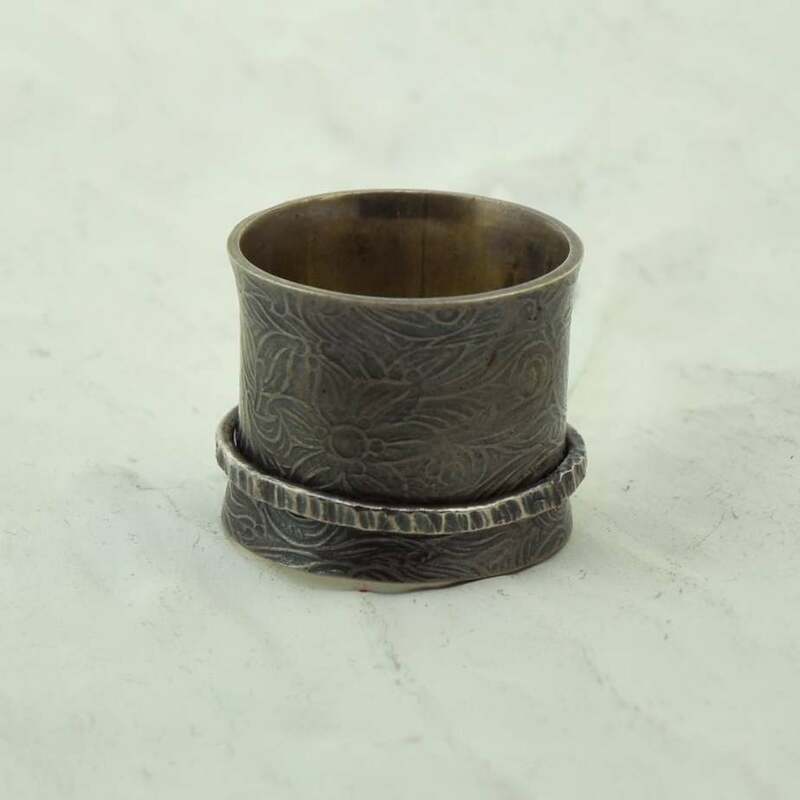 Tasha’s fascination with texture is the highlight of her jewelry. 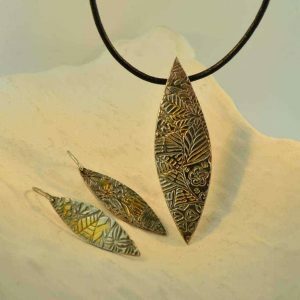 In her jewelry, she creates surfaces reminiscent of everything from elephant skin to silk cloth by using precious metal clay. 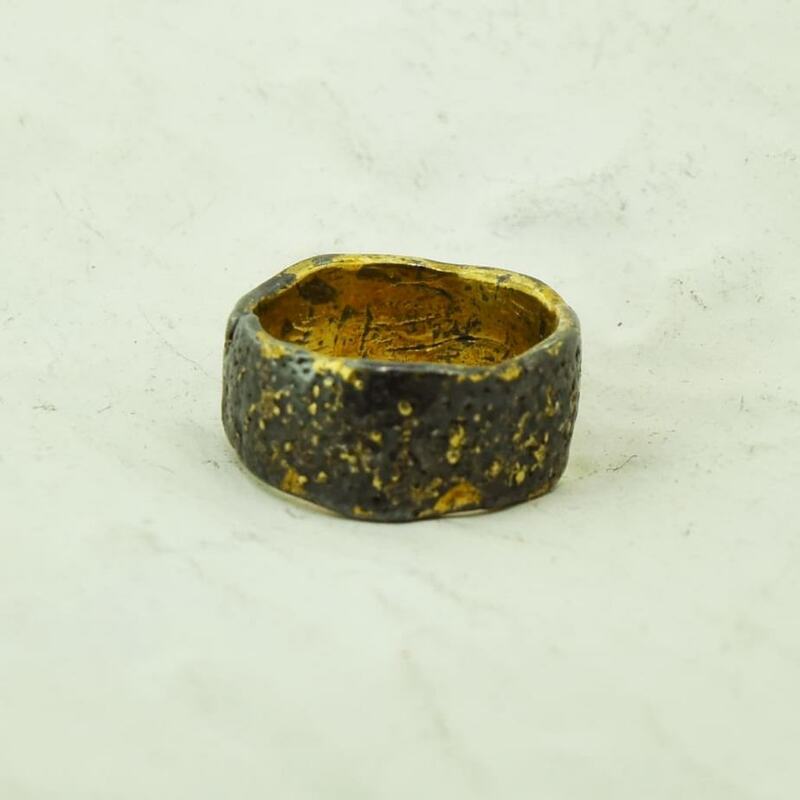 Once fired, the clay solidifies and what is left is a piece of precious metal jewelry with textures not ordinarily achievable in traditional jewelry processes. This unconventional technique, along with Tasha’s unique eye for design are what set her jewelry apart. Sterling silver band, depicting Babylonian art, size 8. $147 at the Johns Creek store. (On Small Business Saturday you get 294 rewards points). Sterling silver and 24k yellow gold ring, size 7.25. $120 at the Johns Creek store. (On Small Business Saturday you get 240 rewards points). 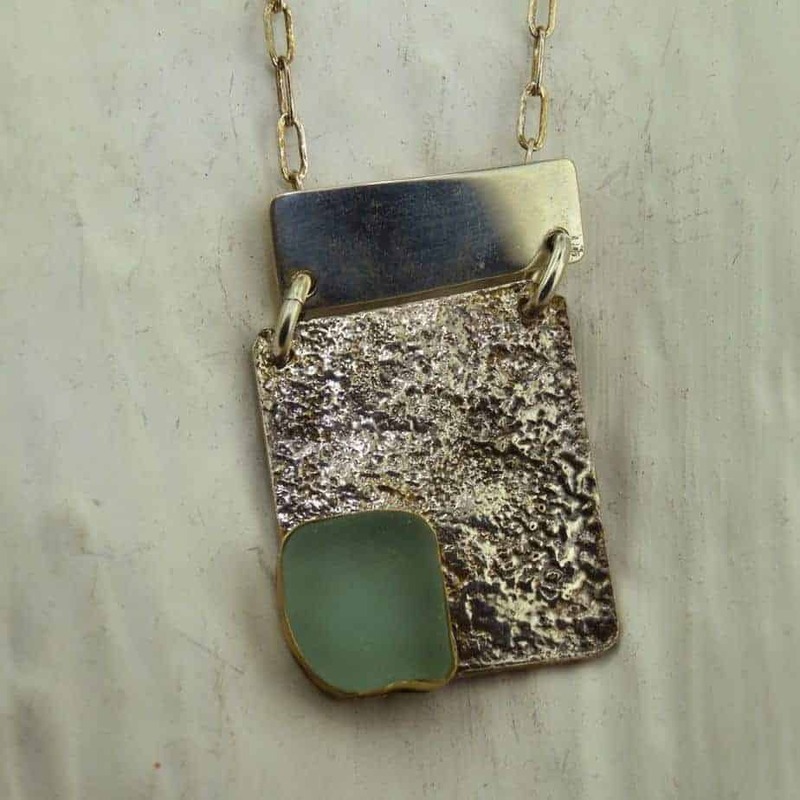 Sterling silver necklace with sea glass from Marshall Island set in a gold bezel. $160 at the Johns Creek store. (On Small Business Saturday you get 320 rewards points). Sterling silver floral pring spinner cigar band ring size 7.5. $150 at the Johns Creek Store. (On Small Business Saturday you get 300 rewards points). 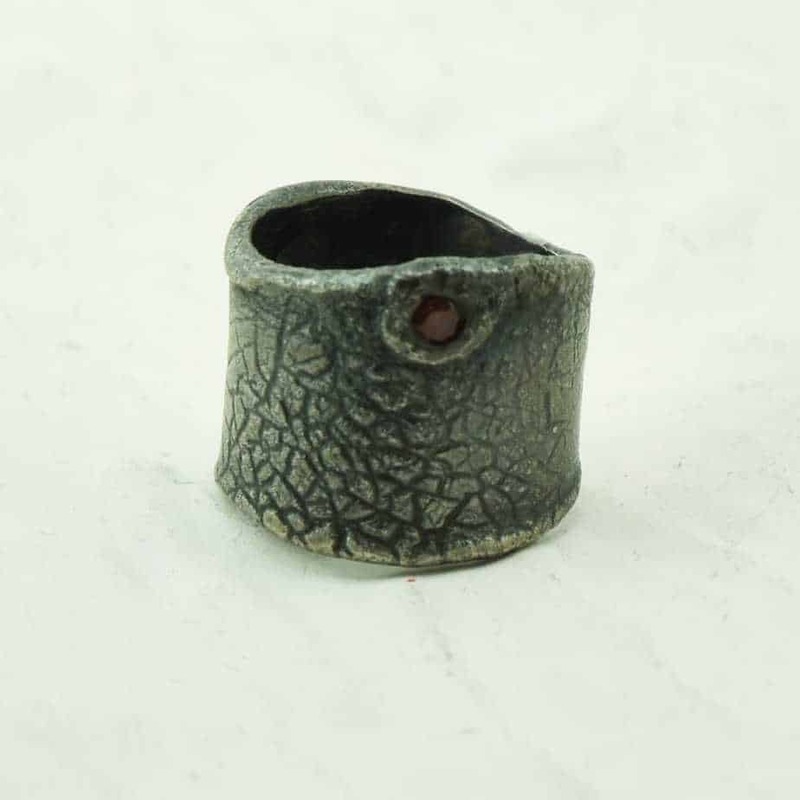 Sterling silver textured ring with rhodolite garnet, size 7.5. $197 at the Johns Creek store. (On Small Business Saturday you get 394 rewards points). 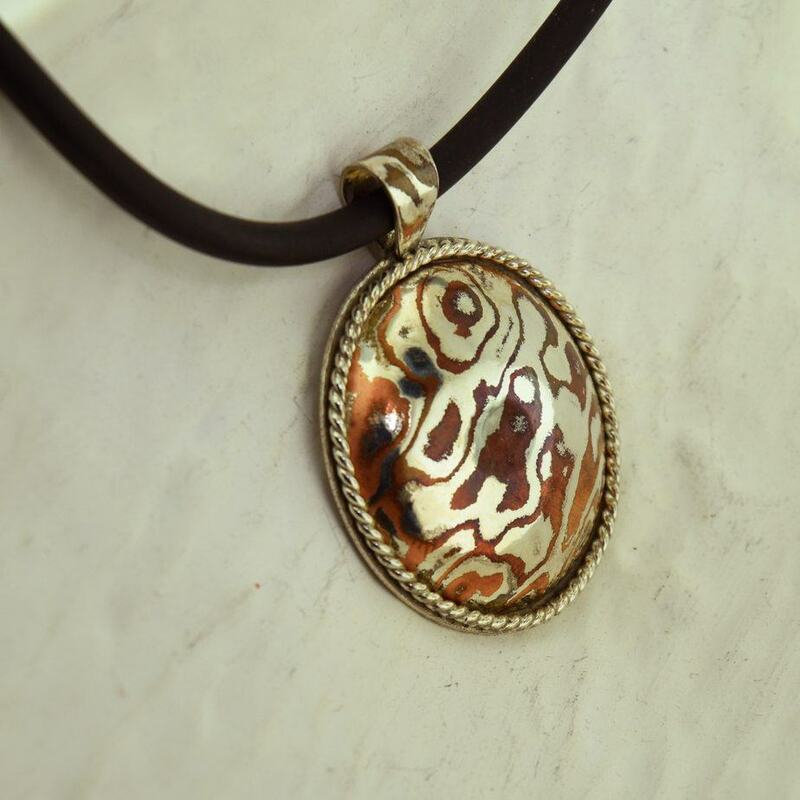 Sterling silver copper mokume pendant on rubber necklace. $297 at the Johns Creek store. (On Small Business Saturday, you get 594 rewards points – enough for a $25 dividend towards your next purchase). 960 silver with 24k yellow gold accents floral pattern pendant and dangle earrings. 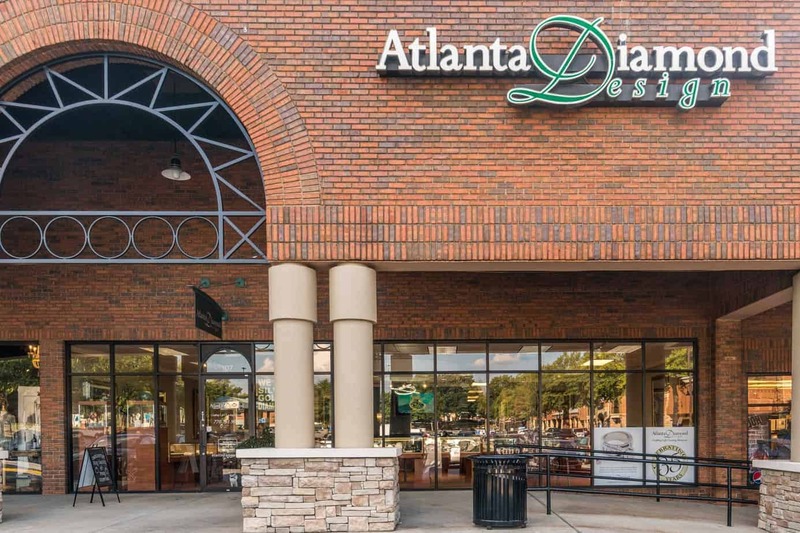 $150 pendant, $150 earrings at the Johns Creek store. 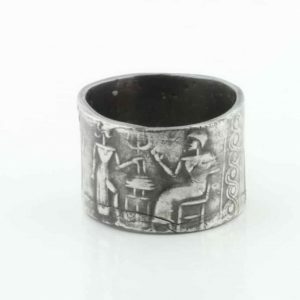 (On Small Business Saturday get 600 rewards points for the set – enough for a $25 dividend towards your next purchase).